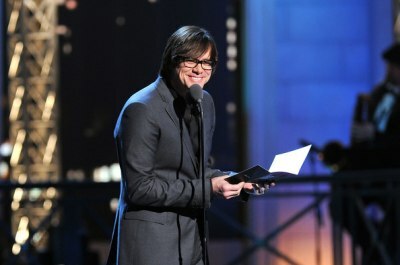 Jim Carrey was on stage at The Comedy Awards 2012 last night at the historic Hammerstein Ballroom in New York City. It was the second annual blockbuster event dedicated to celebrating the art of comedy. You can check many photos from the event in the Gallery. 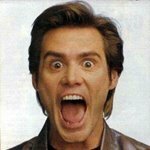 The show will premiere on Comedy Central on Sunday, May 6, 2012. On stage Jim said: "There are no losers here tonight. Apparently, when you tell people they didn't win in advance, they don't tend to show up." After that he presented the Best Comedy Film. The winner was "Bridesmaids" by Paul Feig. If the video of him talking doesn't show up somewhere I'm gonna kill someone! He looks so good (aka Handsome has hell)! EvaAraujo wrote: He looks so good (aka Handsome has hell)! I agree... Always right Fluffy! He has very sweet eyes. Last edited by EvaAraujo on Wed May 02, 2012 3:16 am, edited 1 time in total. He was an amazing smile.